Myrtle Beach, South Carolina is widely known as a growing city due to its popular beaches and an economy geared toward the attraction of tourists, golfers, and vacationers. Any such community, of course, is naturally going to compete with other geographically similar locations. 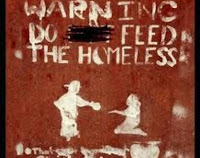 Thus, not to be outdone by other beach communities such as Orlando, Florida, Myrtle Beach has now followed suit in banning good Samaritans from engaging in such charitable acts as feeding the homeless. 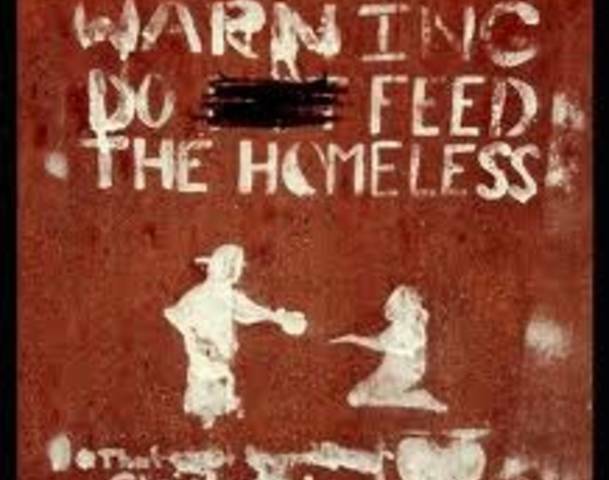 In yet one more example of just how far the Nanny police state complex and the nightmare of overwhelming bureaucracy have become, not only has Myrtle Beach outlawed the use of public parks to feed those in need, frothing bureaucrats have also been instrumental in preventing these people from feeding the homeless on their own private property or even in churches. Such is the revelation, previously unknown to many area residents, with the court case of Richard Hopkins, an area Quaker who feels that, as a follower of Jesus Christ, he is required to assist those less fortunate than he. While this may seem to many to be a noble gesture and an act of true charity to many, the city of Myrtle Beach, with its legion of bureaucrats and uniformed goons, sees Hopkins act as a crime. Indeed, Hopkins does not deny the acts which he is accused of committing – feeding homeless people in Chapin Park on March 9 – and for that he was found guilty of a misdemeanor crime and given a $1,092 fine. This issue initially arose around the fact that Myrtle Beach bureaucrats and city officials demand that a permit be issued for use of a public park by the very public that paid for the park to begin with. Hopkins, of course, was not using the park for commercial gain but that did not stop Myrtle Beach Law Enforcement from faithfully surrendering their brains and basic humanity to the city code guidelines and forcing Hopkins to cease feeding the hungry and even issuing him a citation for doing so. 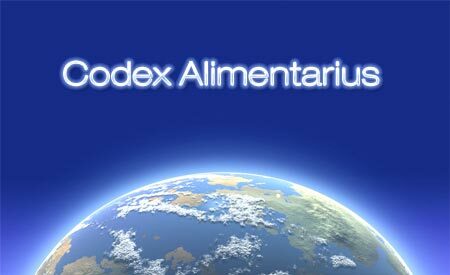 In many of the articles I have written regarding Codex Alimentarius, as well as in my book Codex Alimentarius – The End of Health Freedom, I have mentioned the stated goals of Codex Alimentarius, national governments and, hence, government agencies to harmonize domestic laws, regulations, and policies as the Codex guidelines are established. Yet, while some may doubt the veracity of this claim, it can be no clearer than the statement provided by the EPA in their own Reregistration for Eligibility Decision documents for pesticides that harmonization with Codex guidelines is the intention of the U.S. government. This statement of intended harmonization with Codex standards is included in virtually every one of the Reregistration for Eligibility Decision (RED) documents. Interestingly enough, these statements not only openly announce their intentions of harmonization, but clearly state that the U.S. will amend its standards to meet those of Codex Alimentarius. These pesticides are continually reassessed for these reasons. 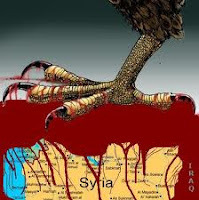 In yet one more example of the tragic nature of the Anglo-American destabilization campaign against Syria, United Nations Secretary Ban Ki-moon has raised the official death toll in Syria to 100,000 from the previous number of 93,000 which was established last month. Ironically, Ki-moon made these statements just before talks with U.S. Secretary of State John Kerry who was standing nearby as the UN Secretary made his remarks. Kerry then stated that he had spoken with Russian Foreign Minister Sergey Lavrov yesterday and that both Russia and the United States were committed to bringing peace to Syria. Both the United States and Russia are attempting to convene a peace conference in Geneva along with the United Nations in order to discuss the formation of a “transitional government.” Russia agreed to call for such a government in mid-June 2013. Russian President Putin then signed a statement at the G8 summit which called for “a transitional governing body with full executive powers, formed by mutual consent.” The statement, however, stopped short of calling for Assad to step down, a fact that sent warmongers such as David Cameron into fits of rage. 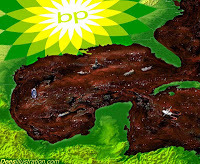 In early June, I wrote an article entitled, “Lawsuit Claims BP and Court Colluded to Keep Monopoly on Oil Containment Tech,” where I detailed many of the claims made by Ron Johnson who sued BP for antitrust and negligence in regards to the Deepwater Horizon Gulf Oil Spill. Johnson’s initial claims against BP were concerning enough. However, during the course of Johnson’s lawsuit and appeals process, Johnson began experiencing what he describes as clear corruption of the higher courts and collusion between these institutions and BP. The court affair began when Johnson sued BP for negligence and antitrust for refusing to at least attempt to use his technology, the SAK-J5 and the S.O.C.K., equipment which had been tested at Ohmsett with an oil containment and recovery success rate of 100%, even after other methods had proven inadequate and BP was relying on toxic Corexit to simply hide the oil from public view. During the course of his subsequent lawsuit and appeals, Johnson claims that he experienced numerous instances of collusion between BP and the courts such as the Clerk’s Offices’ refusal to enter default against BP even after Federal court rules clearly deemed that this judgment was to be entered, attempts by the court to accommodate BP at every conceivable opportunity, tampering with confidential documents, and the denial of suits that were never signed by judges, just to name a few. I encourage the reader to access my previous article in order to understand the background of this case. But if the allegations made by Johnson regarding the behavior of the courts were not serious enough as revealed one month ago, Johnson is making still more claims regarding BP and US court collusion. The additional allegations “begin” with Johnson’s filing of a Motion to Expedite due to the fact that, according to him, his case had laid dormant for over three months, with no communication or contact of any kind related to the suit. This was, he claims, despite the fact that other cases which were not of a criminal nature were placed on the court’s docket for January, 2012. Thus, Johnson filed the Motion in February, 2012, beginning the process of granting or denying his Motion which Johnson states should only have taken seven days. However, Johnson received a denial of his Motion by the court on June 1, 2012, a full three and a half months after the original Motion had been filed. Johnson is quick to point out that the fact that made the Motion to Expedite necessary - the lack of forward motion with his case - was then perpetuated not only with the case as a whole, but with the Motion to Expedite itself. Johnson argues that this long period of inaction was nothing more than a stalling tactic which was used in order to cause him to miss other deadlines regarding separate court filings functioning as part of the appeals process. 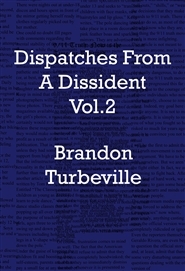 Activist Post writer, Brandon Turbeville, has just released his fifth book: Dispatches From a Dissident: Vol 2. Brandon is known for his detailed research in the area of Codex Alimentarius, which was the subject of his first book. His second book, 7 Real Conspiracies presented the documented facts about the overall global agenda of control. In Five Sense Solutions he outlined practical, real-world strategies for maintaining personal freedom and for restoring the Republic. In his fourth book Dispatches From a Dissident: Articles From the Infowar, Vol. 1 Brandon presented a collection of more than 50 articles spanning from 2002 to mid-2011, which offered insight into the evolution of both a writer and an activist. Brandon's latest release highlights articles written from early 2011 to early 2012. This collection contains a large assembly of material dealing with natural health, war, economics, biometrics, singularity, and political themes. Turbeville's work is supported by heavy research and citation while always keeping the big picture in mind. It has been said before that the majority of modern warfare is fought with information. This new book is an essential collection of dispatches from that war. Volume 2 is 348 pages of concise information, with full documentation and analysis. All of Brandon Turbeville's books are tools to help wake-up friends and family, as well as your local leaders and politicians. As the full-spectrum control grid accelerates, there is no time to waste in obtaining and sharing this key information. It has never been truer that all it takes for evil to prevail is for good people to do nothing. We are convinced that those with good intentions will be moved to action by the tireless work of Brandon Turbeville. DISPATCHES FROM A DISSIDENT, VOL. 2 NOW AVAILABLE!!!!! Truth on the Tracks with Brandon Turbeville May 13, 2013. In my past few articles, I have discussed the documented adverse health effects related to pesticide use, the difference between general pesticides and POPs (Persistent Organic Pollutants), and the requirements that must be met in order for the designation of POP to be applied to a specific pesticide. With all of this in mind, one may be surprised that Codex Alimentarius actually allows for the presence of such dangerous chemicals in food. Before explaining this position, however, it is important to note some of the background regarding POPs, the Stockholm Convention, and, finally, the Codex Alimentarius POP guidelines themselves. In 2001, The Stockholm Convention on Persistent Organic Pollutants was adopted with the stated goals of eliminating or reducing the production and use of POPs. The Stockholm Convention entered into force in 2004 and is overseen by the United Nations Environment Program. The Conference of the Parties of the Stockholm Convention (COP) manages the POPs Convention with each of the members of the Stockholm Convention being the members of the COP. The function of the members of the Convention is to implement the obligations of the treaty at the national level. Although 50 countries have ratified the treaty, the U.S. is not one of them. However, the U.S. has largely begun to implement the treaty on the national level. This has been accomplished through a series of national laws and other international agreements. Since 1972, the United States and Canada have signed several agreements involving the removal of POPs from the Great Lakes such as the Great Lakes Water Quality Agreement and the Great Lakes Binational Toxics Strategy. 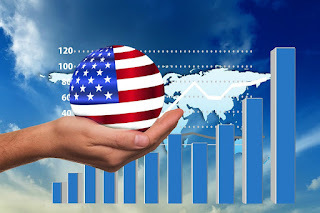 The U.S. is also party to the Rotterdam Convention on the Prior Informed Consent Procedure for Certain Hazardous Chemicals and Pesticides in International Trade with 71 other countries and the European Union. On a national level, the U.S. has passed four major laws that involve the ban or restriction of POPs. The Federal Insecticide, Fungicide, and Rodenticide Act (FIFRA), the Toxic Substances Control Act (TSCA), the Clean Air Act (CAA), and the Clean Water Act (CWA).